We’ll Create Your Dream Garden, from Concept to Creation. Whether you are looking at garden planning or a full design & build look no further. We cover London, Surrey, Kent and the South. As well as spending time creating beautiful space we also like to share our knowledge and expertise, why not take a look at our most recent blog post. We’re experts in new garden design and creation, garden renovation and landscaping. With our base in central London, we’ve acted as garden design consultants all over the UK and are proud to have collaborated on award-winning projects and to have helped homeowners make their garden dreams a reality. Our team is experienced, innovative, and professional. Our portfolio of work speaks for itself and our gardens are continually recognised for their outstanding design and features, smooth architectural lines and lush planting and colouring. Because we’re equipped to provide full landscape gardening services and garden design, we’re able to create bespoke, personalised gardens to meet the specific needs (and desires!) of each and every customer. No matter the project, we’re keen to work with you and to transform your outdoor space. 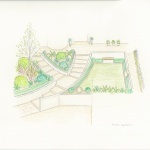 Before you proceed with any garden renovation or design project, our experts can produce beautiful, hand drawn garden plans to help with visualisation. There are many things to consider from garden type, shape and size through to space utilisation, garden plants & themes, features & more. We’re not just any company, we’re experts in new garden creation and garden renovation, landscaping & garden maintenance. Our services cover properties throughout London (north east & west London, south east and west London) Kent & Surrey from our base in Central London. 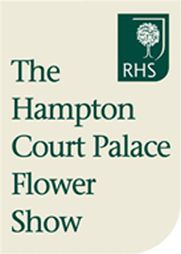 We are one of London’s leading garden designers creating stunning, fully bespoke gardens for more than 20 years. Your garden should be created the way you envisage it, and if you need a little inspiration or full planning then look no further. Our team of specialist garden designers will guide you through the whole process from start to finish, ensuring you get exactly what you set out for…… a Dream Garden. 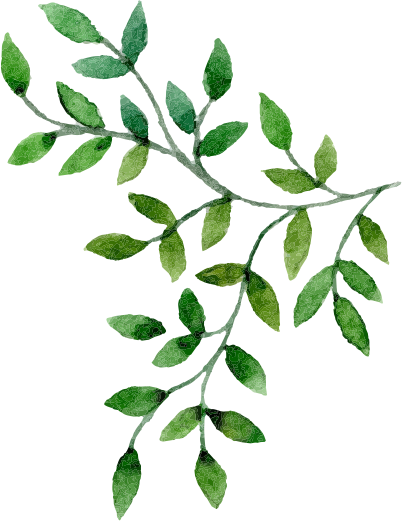 From artisan Hand Drawn garden designs & plans through to planting, you can be sure that the service you receive will be impeccable. We offer FREE No-Obligation quotations with a dedicated specialist who will meet with you to discuss your project / requirements. Going through the design phases you can expect full consultations, site survey, soil evaluation, full planning and complete project management from start to finish. Thank you very much for my beautiful balcony! It was a pleasure to work with you all – Sam is super talented and Andrew and the guys are such hard workers and really efficient. You have transformed my tired and sad balcony into a lush and beautiful space – the living wall in particular is spectacular. I am looking forward to spending as much time out there as our weather will allow sitting on the lovely bespoke benches… The decking has transformed the space – it seems so much bigger and looks cool and contemporary. Thanks again – I would heartily recommend your service to anyone! I am very pleased with my new garden and I have received many pleasing comments about it from friends and neighbours. The garden is looking like a mature one although it was planted only two months ago. It already seems to be fulfilling the brief of bright all year around colour; as soon as one plant finishes flowering another one bursts into bloom. I am grateful to Paul and Helen for all their suggestions for the planting, lighting, the water feature and unobtrusive storage which have all combined to ensure that all of the garden is used (formerly a large shed cut off the back of the garden) and that garden looks great in the evening. I am no longer ashamed of my garden and now enjoy showing it off. Andrew did a great job yesterday changing the water system main box over and it looks much better on the small area now, so a huge big thank you again for all your teams hard work and effort on my fabulous garden, it is a joy to look at every day. We are very happy with progress and the build teams in general – it’s been a pleasure having them around, and we’ve been very impressed with the attention to deal and care with which they’ve been undertaking this project. We are thrilled with our new garden designed and completed by floral & hardy. Watching telly has become a thing of the past!! Our garden was very steep and dangerous for my six year son, Floral & Hardy gave us a beautiful space that is perfect to entertain all year round and our son loves it too! The team were fabulous!! . Nothing was too much trouble and they worked diligently through out the project. Also being a family run company adds a personal touch too. I would totally recommend this company to all my friends and family! Thank you to everyone involved and all your hard work !! 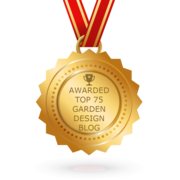 Why is Garden Design Important? A well-designed garden can become an extension of your home. We like to think of it as ‘the room outside’, as a beautiful, functional space that meets your individual needs and that reflects your personal style as well as the style of your home. From modern rooftop gardens to sprawling manors, our garden design team can help you create a haven to be enjoyed year-round. During the consultation and design process, our friendly, knowledgeable team will take the time to fully understand what it is you’re looking for. First, we’ll work together to pinpoint the type of garden that you’d like designed and your shape and size expectations and requirements. Our expert designers can turn your concept into drawings that will help you visualise your dream garden and inspire you to push forward with planning. After we’ve fleshed out your vision, we’ll move on to specifics. After all, it’s the details that will really make your garden yours. We’ll work with you to choose plants, flowers, and other accents and details like water features and colour schemes. Our expert team - including designers, landscapers, and horticulturists - will work with you throughout the project, ensuring that the project stays true to your vision and that you’re making informed decisions in terms of accessibility and maintenance. After the planning stage and design process are complete, it’s time for landscaping and installation. We have the tools, experience, and work ethic to ensure that your garden is completed to plan and in a timely manner. Give us a call and speak to our friendly design consultants to discuss your project. We offer a free, no obligation consultation and would love to discuss your requirements and goals in more detail.